Traveling with children can be stressful. I know lots of parents who ask me questions all the time about visiting Morocco with their kids. But, what if your child has special needs that make travel a little more difficult or requires a bit more planning? To help, I put together this post answering some of the biggest questions I get. 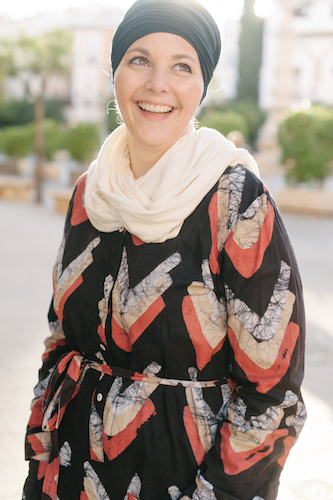 I consulted with other parents who have either traveled to Morocco or elsewhere with their children to put together the best advice possible. Of course, you should always consult with medical professionals (if needed) before visiting. Hopefully this information will be able to answer some of the more common questions people tend to have. Food allergies are just beginning to be understood in Morocco. The main ones are nut allergies. However, the vast majority of people still do not understand food allergies or the severity of them. If your child has an allergy you should not underestimate the need to be an advocate. Checking and double checking is vitally important. In most cases it’s not that the server or cook has any malice but that they genuinely may not understand how serious a food allergy can be. Read my post on visiting Morocco with food allergies for specific information including language tips to communicate your needs. If your child has medication in case of accidental consumption carry it with you at all times. I would advise you to ask your doctor for any additional items you can bring with you in case of accidental consumption. Hospitals do have epi pens and treatment however it will likely take longer to reach help in Morocco than it would in your home country. For minor allergic reactions I always carry Diphenhydramine (Benadryl) just in case. stick to your normal routine as much as possible such as waking up, sleeping and eating around the same times. be prepared for differences in physical space. If your child needs more space avoid crowded places – evenings are especially crowded in the city. have a favorite toy or tablet on hand for your child if they are in a situation where they need a distraction. make sure to plan in things that appeal to their interests and give ample time for enjoyment. set aside time for quiet activities. don’t worry too much. Moroccans have a very high tolerance for children and rarely bat an eye when a melt down happens. Avoid the main square at night. After 7pm there are very large crowds, lots of music, and smells. Likewise, some of the main souk streets like Derb Dabachi are very busy at night. Find a small, family friendly riad to stay in or rent one for your family. (Like Riad Rom’man one of our favorites). You’ll have privacy, and a quiet spot to recharge. Most Moroccan food has a very soft texture. Depending on your child this may be a good or bad thing. If your child has an aversion to soft foods, try things like grilled meats that have a bit more texture. A trip to the grocery store may also help buffer your food supplies. Carry a small bottle of your child’s favorite perfume or scent if smells are a trigger. A little spritzed onto a cloth and held to the nose can help when trigger scents are present. A good pair of headphones or evensound cancelling earmuffs can be invaluable. Sadly, Marrakech and most Moroccan cities are difficult to navigate if you have mobility issues. While the city itself is mostly flat, there is a lot of uneven pavement to contend with. Coupled with a lack of street access ramps and lots and lots of stairs (with no elevator access) it can be a nightmare. To stay, a hotel is your best bet. While some riads may have ground floor access there are often some stairs that need to be navigated. Also rooms and bathrooms are very small and if in a wheelchair impossible to access. The vast majority of hotels have accessible rooms, bathrooms, and elevators. In the medina using a wheelchair is an option. You also can hire a tuk tuk to drive you around in the souks. They can be hired point to point or for an entire day. The drivers are all men who have some form of disability that doesn’t allow them to drive a car (tuk tuks are controlled with hand steering). As with mobility impairments sight and hearing impairments are often overlooked when it comes to infrastructure. People themselves will often go out of their way to assist if they see someone in need. You won’t find many service animals in Morocco and if you do use one people may not even be aware of what this is or know to follow procedures. The good news is most Moroccans won’t pet a dog they don’t know – even children. I would again advise to consider booking a hotel room vs. a riad in these situations as the layout and convenience will be a bit easier. Depending on what triggers attacks you may be able to avoid it. If crowds are of concern, avoid evenings when the streets are VERY full. Have a conversation with your concierge about concerns you have and how best to avoid them. If your child has medication for panic attacks be sure to bring it with. Again, you may be able to find it in Morocco but I wouldn’t depend on it. Unfortunately this is one of the biggest health issues in Morocco so people and doctors are well aware of the issues surrounding diabetic needs. That being said there also is a lot of misinformation. You will be able to readily find insulin and other needed medical equipment in pharmacies. Should you face serious issues, you should feel confident local doctors can assist. If your child uses a special machine or a very specific medication, bring extra along as the exact item may not be available in Morocco. If your child has a weakened immune system for any reason take precautions in Morocco. Drink only bottled water and stick to foods that have been well cooked. You will find most Moroccan dishes meet this criteria, however if you opt for a French restaurant or international food, it may not be the case. You may be more comfortable preparing your own food in a self-catering apartment. Winter is when the majority if airborne illnesses are present in Morocco but it’s also when orange juice is the best – so dose up on Vitamin C! Rural Morocco is a fantastic escape for those who suffer from asthma due to environmental factors. The mountain regions are really wonderful. We’ve found in the drier climate of Morocco our sons asthma is much better than when we lived in a more damp climate. If you plan to go to the desert and dust is a trigger bring along an inhaler and perhaps a face mask as well to keep out added dust. The biggest challenge you may face is in the cities where there is (sadly) quite a bit of air pollution from car and motorcycle exhaust. Again, a face mask may help with this as well as trying to stay out of congested road areas at busy times (mostly in the evenings). Moroccans tend to roll the windows down to circulate cold air instead of using air conditioning so this is something to be aware of as well. Bring your medication with! If your child has allergies to stings you’ll want to have everything you need on hand at all times. Because the window is so short to administer medication you will want the piece of mind. There are spiders (non venomous), scorpions (very rare to see in the city), mosquitos and a few other bugs that like to take a nibble. Usually January, February, July, August, and December are the months with the fewest number of bugs. There are a few vaccines that are suggested before visiting Morocco, the most critical being Hepatitis A. It is highly advisable to have this vaccine if possible. 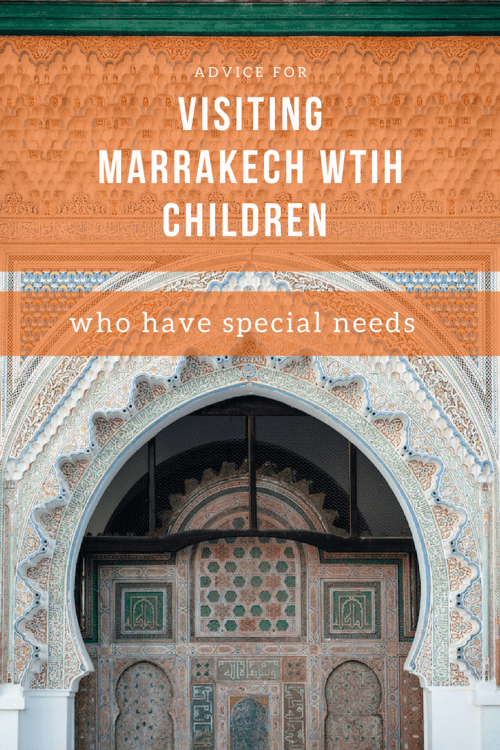 However, if your child is not immunized for this or other childhood illnesses because of medical reasons it doesn’t mean you can’t come to Marrakech. The VAST majority of children are vaccinated against all childhood diseases (except chicken pox). This is a requirement in Morocco. There is very very low chance of contracting diseases like measles or mumps. There is little to no malaria or typhoid. Overall it is a very safe destination. I hope it was helpful and your trip goes well.